A delightful path in terraces between traditional villages perched on the southern rim of the Sayq Plateau, with huge views down into the depths of Wadi Muaydin. 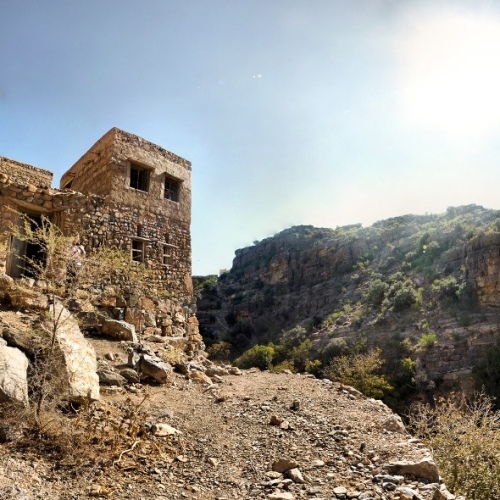 In the far south-east of Jebel Akhdar, the finest and highest region of the Western Hajar Mountains, lies the Sayq Plateau, a peculiar high area of rough hills at the eastern end of the range. 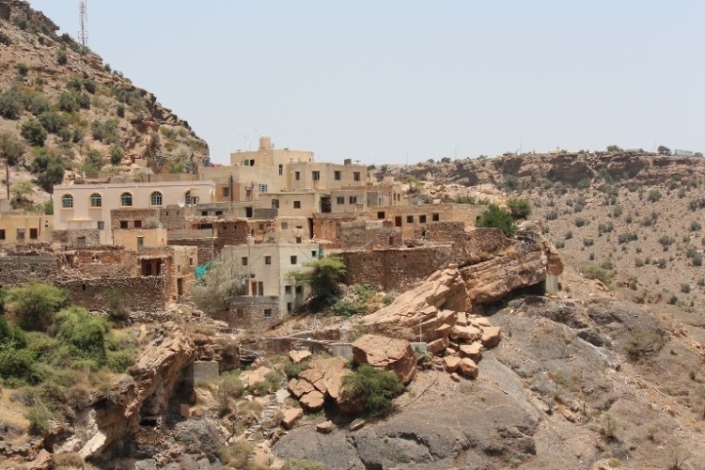 The best walk here is between the villages of its south-eastern rim: collect your historic Omani mountain villages along this high level walk, from Al Aqur to Sayq (or vice versa). 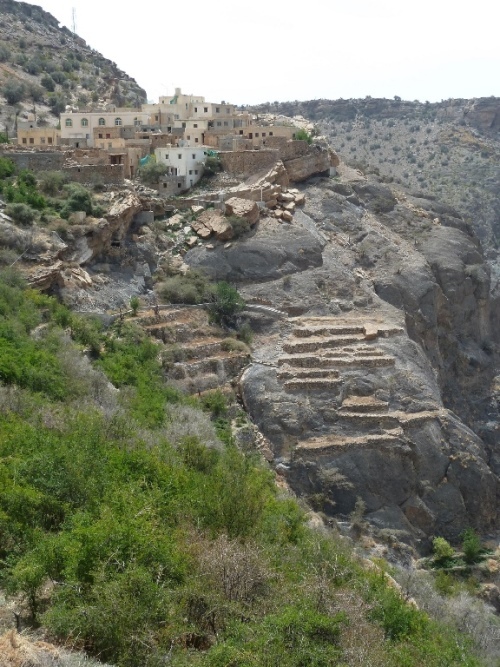 An option to extend your walk beyond Sayq to Wadi Ben Habib (unmarked paths). 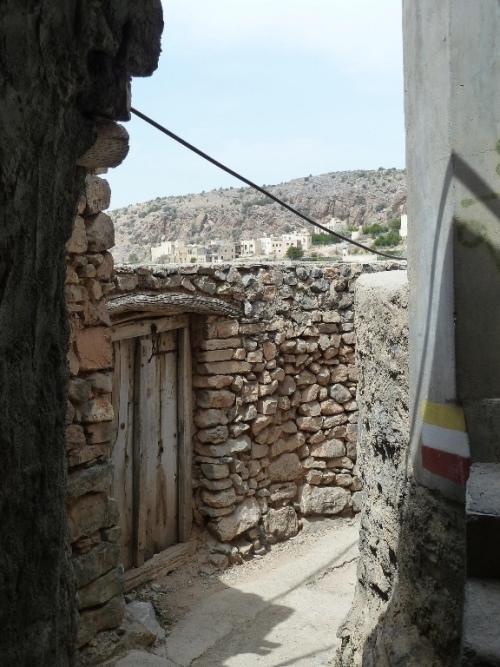 A delightful and straightforward marked path between traditional villages perched on the rim, with huge views down into the depths of Wadi Muaydin. 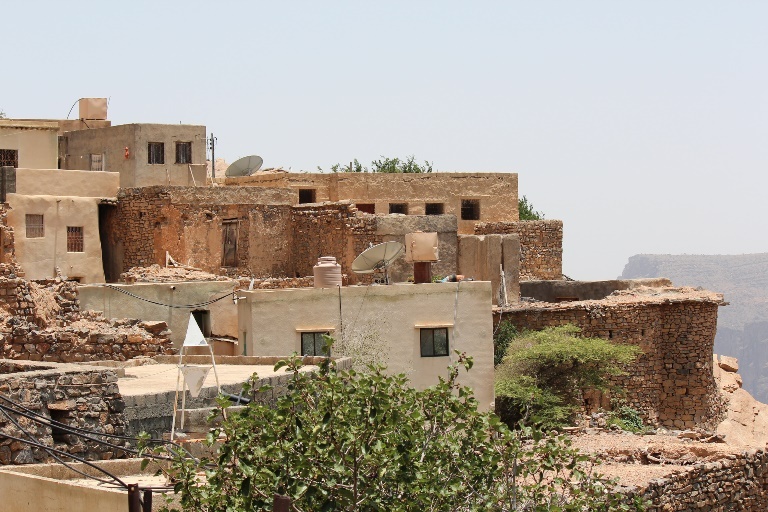 Old stone houses abound, some abandoned; terraced fieldlets irrigated by old falaj irrigation systems still cling precariously to the gorge sides. Start at Al Aqur, then walk round to Al Ayn, Ash Shirayjah and then on to Sayq. 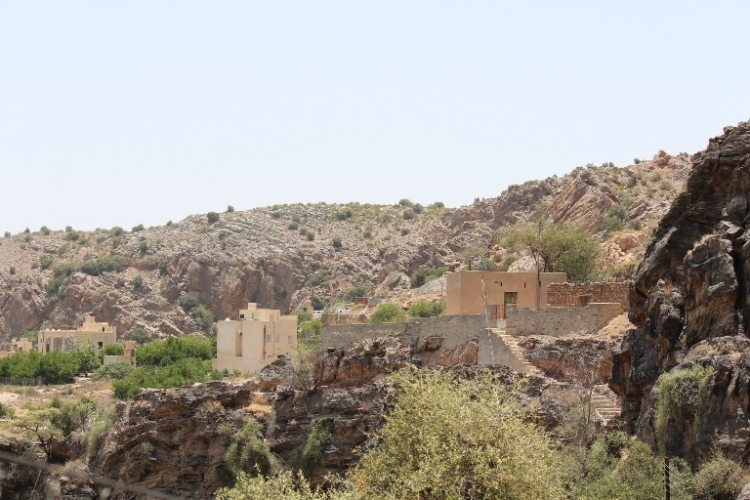 You can continue onward for another 6km, on unmarked paths to Wadi Bani Habib. The first village, Al Aqur, is famous for its unique desert roses (flowering in April), from which valuable rose water is made. Also grown are grapes (said to have been brought by the Persians), fruit (including pomegranate) and walnuts. You may find fossilised coral In this geologically interesting area, or see a rosewater distillery in action. 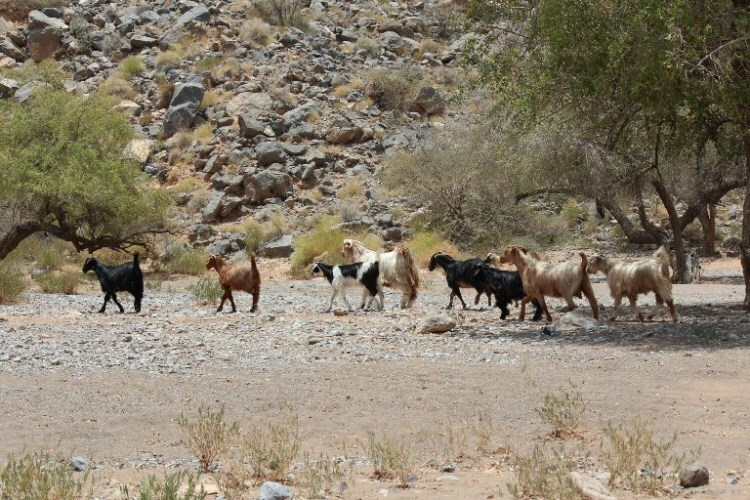 Oman Trekking (Explorer) and Adventure Trekking in Oman (Anne Dale and Gerry Hadwin) have worthwhile sections on this walk. Recommended. Find relevant books on Amazon.